They say high-profile executive departures come in threes. 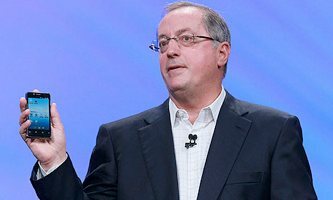 Actually, no one says that but it appears to be the case with Intel’s Paul Otellini announcement this morning that he plans to leave his post in May 2013. The announcement comes hot on the heels of Scott Forstall's abrupt departure from Apple last month and Steven Sinofsky stepping down at Microsoft just one week after launching Windows 8. In this case, Intel says 62-year-old Otellini has decided to retire, and will work with the board over the next six months to ensure a seamless transition of power. No successor has been named yet but the company says it’s open to either internal or external candidates for the job. Otellini's retirement will close the door on almost 40 years of employment with Intel -- the last eight of them as CEO. He’s only the fifth CEO in the company’s 45-year history and was able to usher it through some of its most profitable years following the transition to the Core architecture that AMD has struggled to keep up with -- the Pentium 4 was fast but inefficient and thus never found much success in the then booming laptop market. Interestingly, his departure comes as another turning point for the company looms. Intel has been trying to break into the fast growing smartphone and tablet segment but so far it hasn’t been able to make any significant inroads.The company is putting a lot of effort behind its ultra low-power Medfield line of x86 chips but it faces an uphill battle against the established ARM architecture and its army of licensees. Conversely, the latter are also threatening to invade Intel’s turf by jumping into the profitable server market. I've been privileged to lead one of the world's greatest companies. After almost four decades with the company and eight years as CEO, it's time to move on and transfer Intel's helm to a new generation of leadership. I look forward to working with Andy, the board and the management team during the six-month transition period, and to being available as an advisor to management after retiring as CEO.